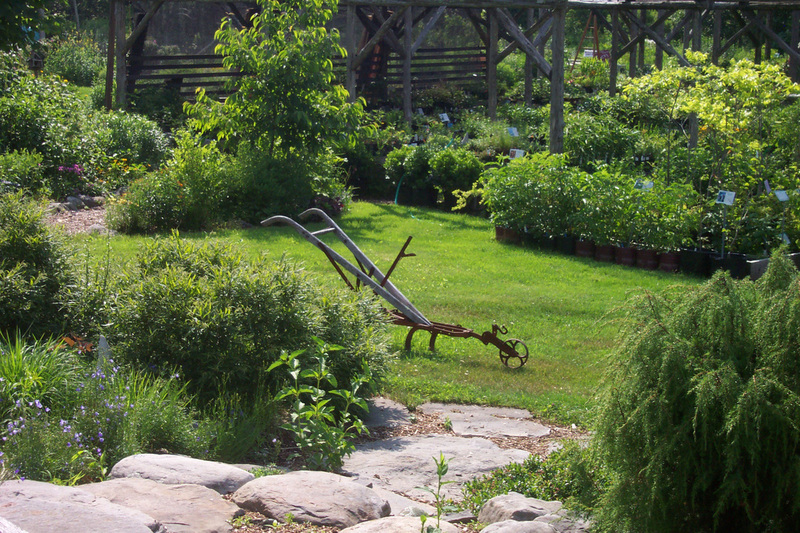 We specialize in nursery-propagated North American perennials, fruits, shrubs and trees. 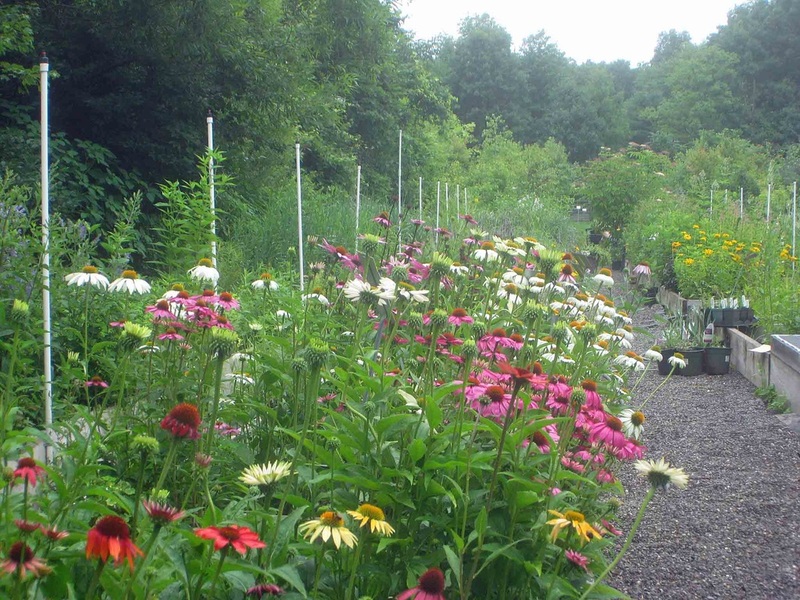 Native plants are a natural choice for woodland, meadow, and aquatic gardens. Most are equally at home in the flower borders around your house. Native plants are ornamental, easy to maintain and provide food and habitat for birds, butterflies, bees and other wildlife - and yourself. Many natives are becoming scarce in the wild - you can help to restore biodiversity by adding native plants to your landscape. 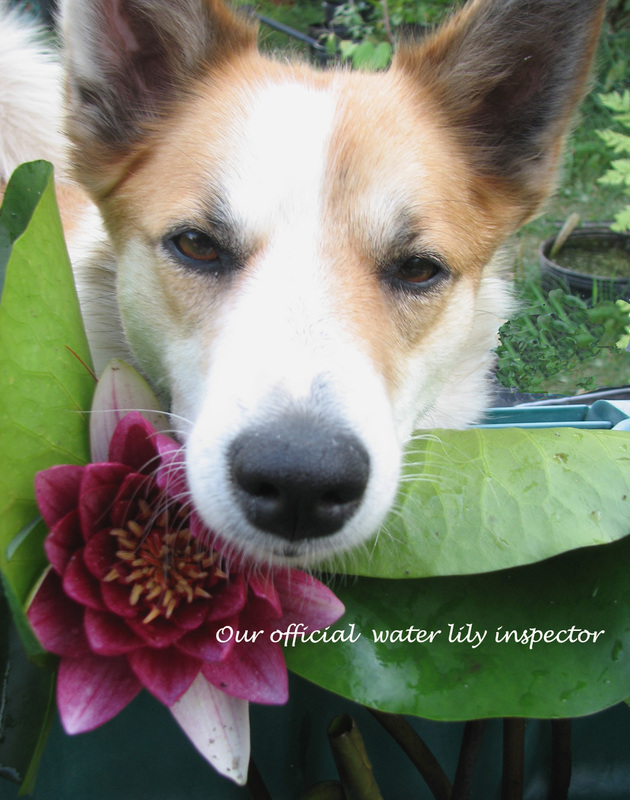 Come and browse the unique beauty and garden worthiness of our native flora. Please note that we are not a mail order nursery, so we do not ship plants. 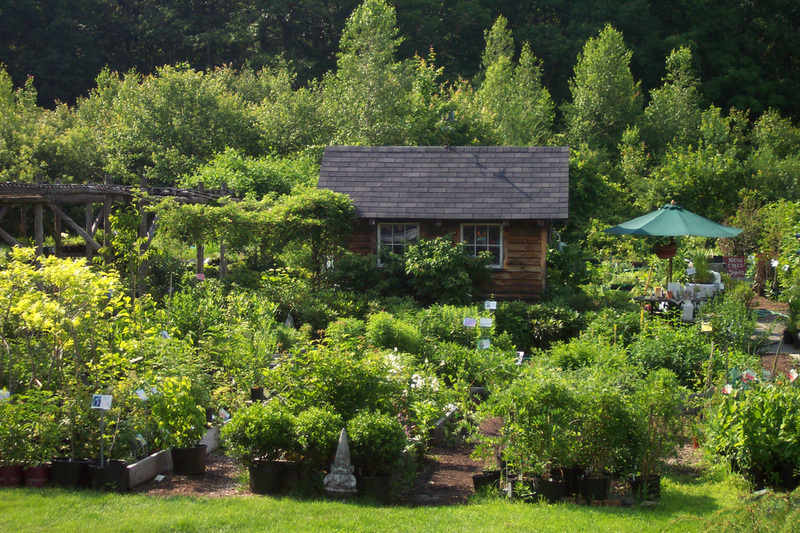 The nursery was created on a site that has been a market garden and homestead since the 1820s. We think of our business as a continuation of a tradition which valued ecological knowledge, hard work, organic methods and a respect for nature. Our customers often mention how they feel transported back to a simpler agricultural time when they visit. The nursery is designed to use a minimum of fossil fuel, a little wind and solar and a lot of muscle. 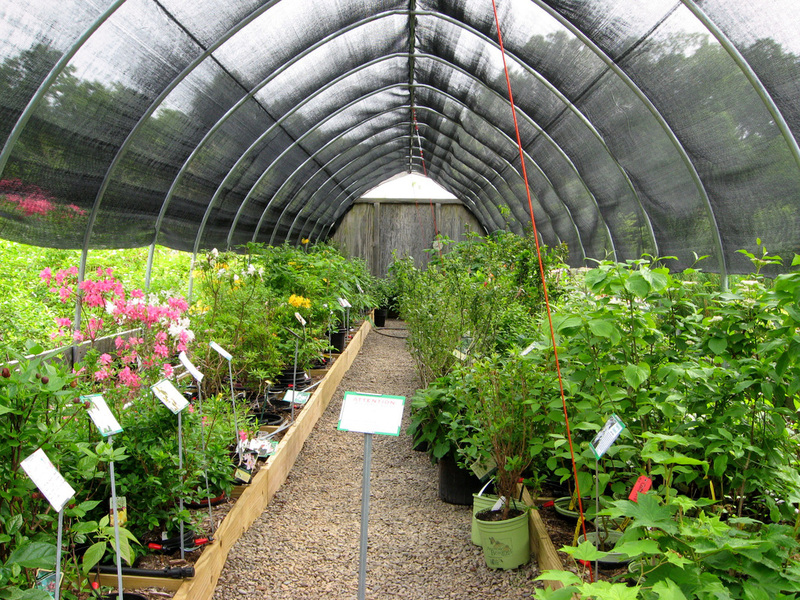 Instead of greenhouses, we have shade houses and cold frames designed to protect and strengthen young plants until they are ready to go to their permanent homes in your garden. 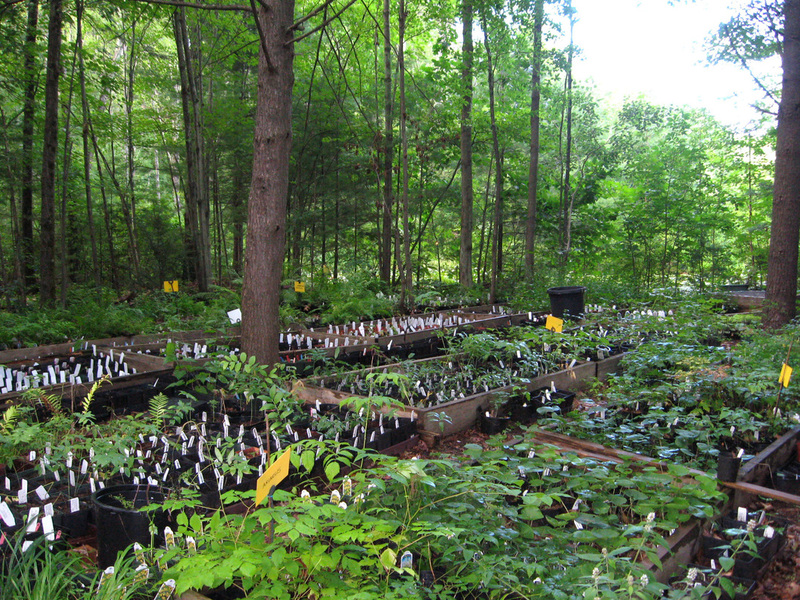 The plants we offer are well acclimated to our location in the foothills of the eastern Catskill Mountains. Most, but not all, are equally at home in colder areas north of us or at higher elevations as well as in warmer zones south of us into northern New Jersey, Connecticut and the the New York City area. 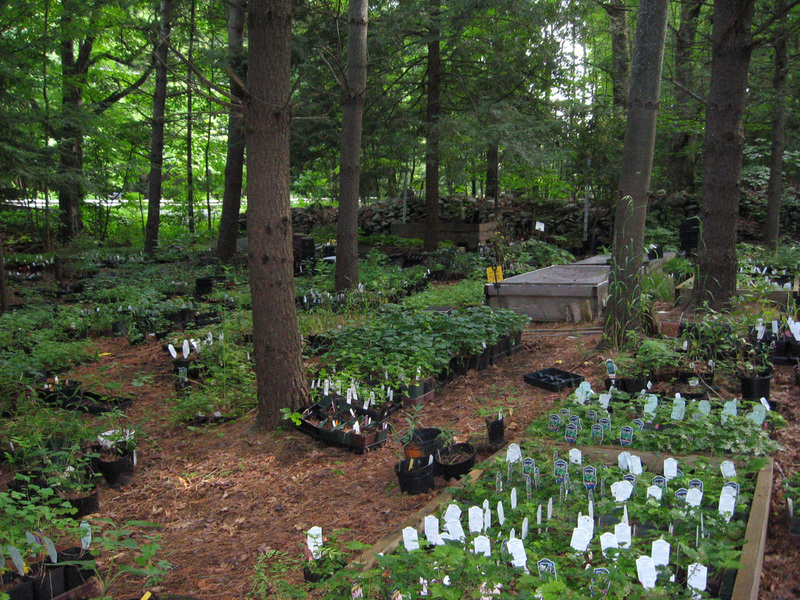 We specialize in woodland perennials from northeastern North America. From spring to fall our woodland propagating area is a dense carpet of green and silver foliage, multiple textures and bright, delicate flowers. We strive to grow as many species as we can from seeds collected from local populations. This ensures that plants are well-adapted to our region and will thrive in your garden. 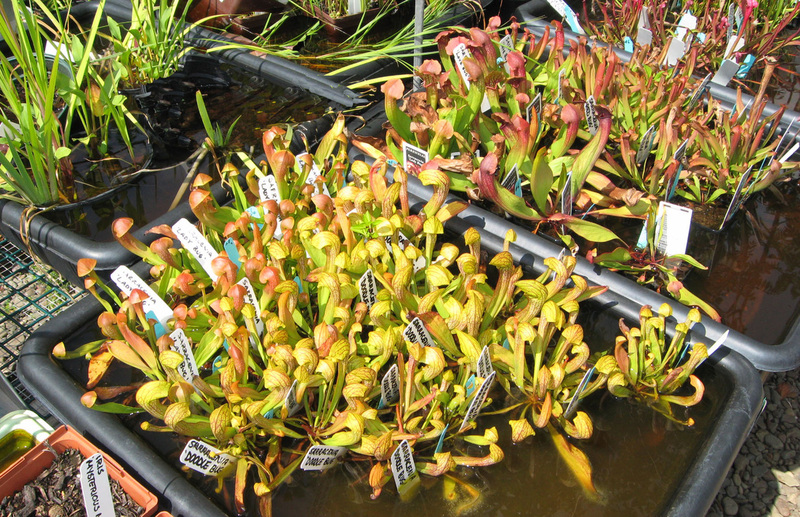 Our bog and wetland offerings include many hard-to-find natives, like the carnivorous pitcher plants shown above right. 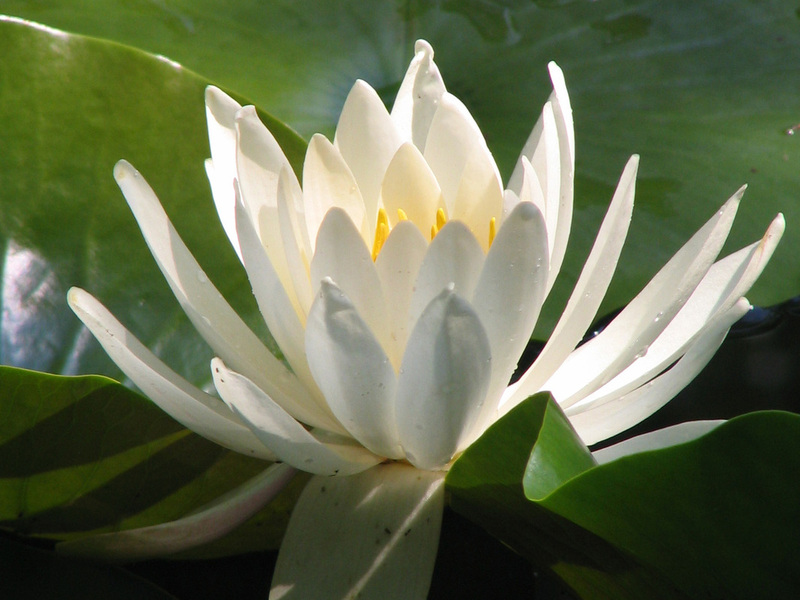 We propagate a large variety of water lilies including the native fragrant pond lily, Nymphaea odorata, and hardy hybrids.